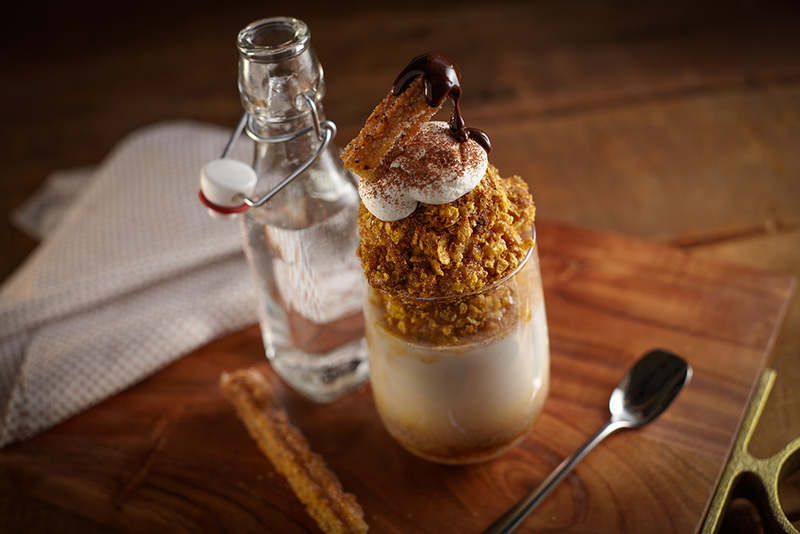 A glass coated in a spicy cocoa-sugar rim, filled with fizzy chocolate soda scoops of "fried" chocolate ice cream and cinnamon ice cream, topped off with Mexican chocolate fudge sauce, fresh whipped cream and finished with a crispy cinnamon churro. Make the “fried” ice cream: roll each scoop of cinnamon ice cream in the “fried” ice cream coating until completely covered. Re-freeze until firm. Scoop three coated #12 ice cream scoops into prepared glass. 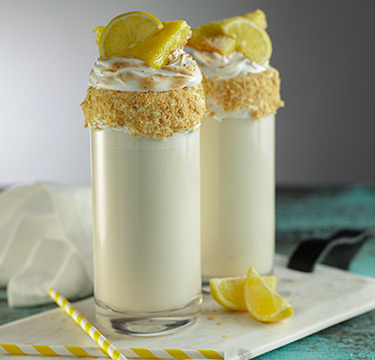 Top with horchata and soda. 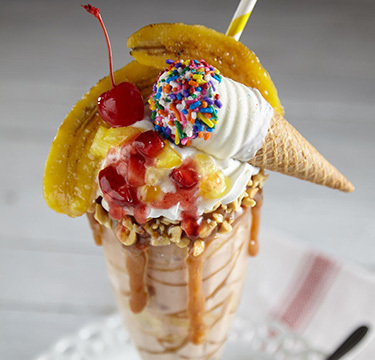 Top float with whipped cream and drizzle with chocolate syrup. 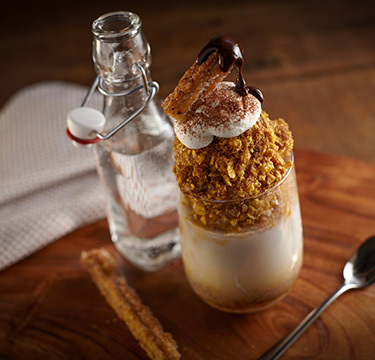 Place churro across glass, garnish with additional ground cinnamon if desired. Place corn flakes in a food processor and process until coarsely crushed. Add melted butter, sugar and cinnamon; pulse until butter is evenly distributed. Coating will hold, refrigerated, for up to three days.